We’re always thrilled to see the places we love receive the accolades they deserve! 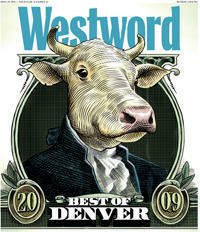 Westword just released their picks for Best of Denver 2009, recognizing some of Denver’s top people, places, and things. Exciting to know we live & work in the heart of Denver’s new restaurant hot spot! Congratulations to the winners, who make the Mile High City such a great place to be.